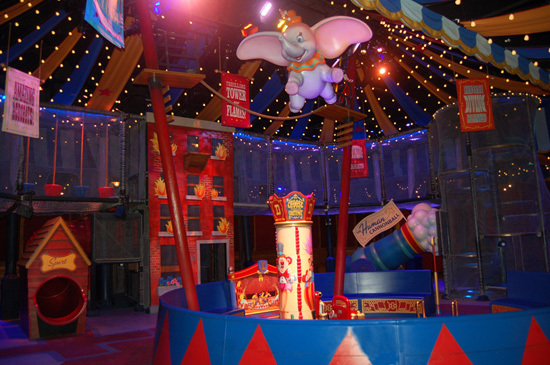 The load and unload procedure for the new twin Dumbo the Flying Elephant spinners is an exercise in cast member efficiency. However, one family trying to get that perfect family photo can slow things down considerably. 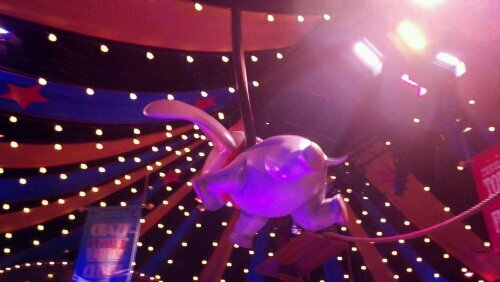 That’s why a stand-alone Dumbo was added as a photo op at the old Dumbo location and why it’s back and a center piece of the new attraction in Storybook circus. The prop itself is under a nice shaded area, but there is plenty light during the day to get a good photo and lights above to illuminate the space at night. A set of stairs have been installed behind the ride vehicle to make climbing in and out of the car easier. 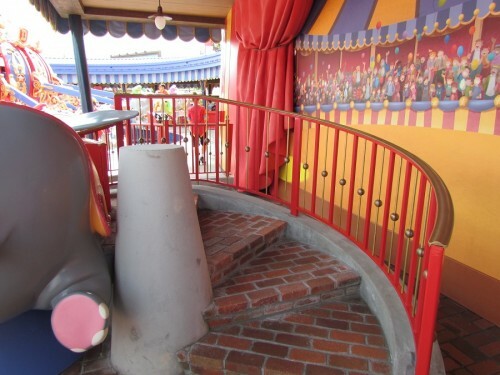 We visited the Magic Kingdom yesterday morning and were fortunate enough to get an opportunity to explore the new interior queue portion of Dumbo The Flying Elephant. When you approach Dumbo the left side is now the Fastpass Queue and the the right side is now the Standby. 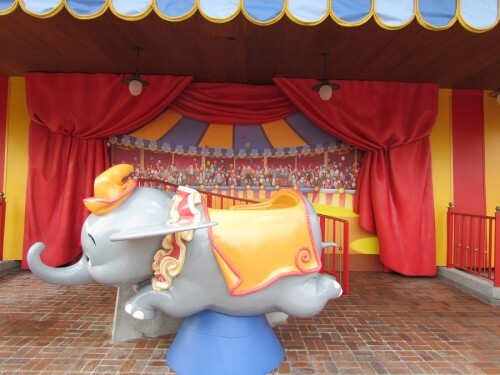 Fastpass machines are currently located over at Mickey’s Philharmagic, so plan for that as you head toward Dumbo. 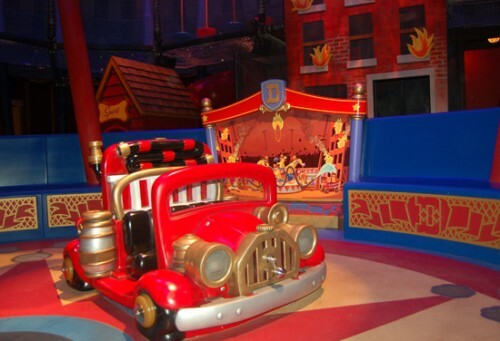 But keep in mind that Fastpass does not include access to the new indoor play area. The queue was short when we entered the standby side, so we were given the option of just heading right on to the spinner or taking a break in the play area. We choose the play area and were given a restaurant style beeper at the podium. The cast member there has a control that says how many are in the play area at once (looked like a limit of 150 when we were there) and lets them monitor the average amount of wait time. When you enter the queue there are circus style benches for adults to sit on while the kids run around and play. The center ring is for toddlers (2-5) and the outer play structures are for older kids (4 – 8). Many of the elements generate sound effects and the background music is periodically interrupted by announcements from Timothy Mouse. We were in there for about 5 minutes when our beeper went off. As you might expect many parents were having trouble rounding up the kids to head out and get on the spinner. My son enjoyed the play area so much that after we got off Dumbo he wanted to go back and play some more. Yesterday I shared some of the changes to the exterior of the new twin-spinner Dumbo the Flying Elephant attraction in Storybook Circus, today I’m excited to be sharing some photos of the interior of that attractions. Wait, you say. Why would a spinner have an interior? 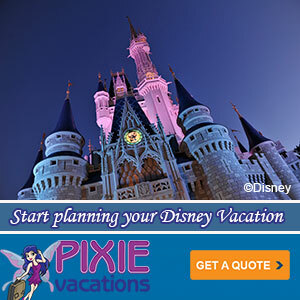 It’s all part of Imagineering’s plan to make waiting for the ride less painful. 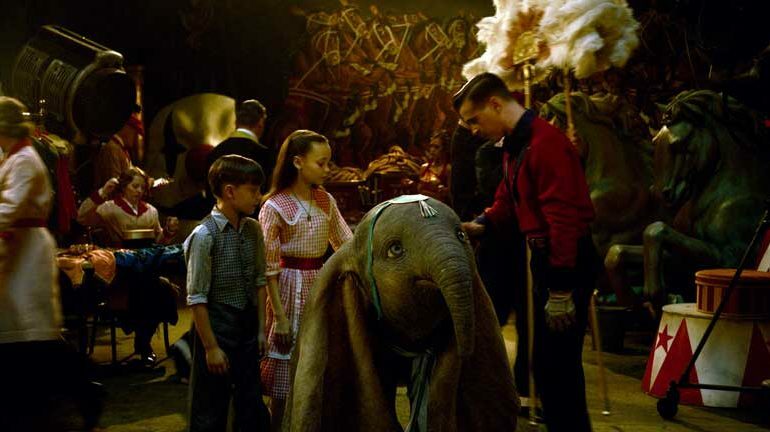 Back when WDI first started talking about the new Dumbo queue they said rather than lining up in a switchbacks, it would be a place where kids could move freely and interact with various elements in the building. Parents would be able to wait comfortably while watching their kids run around. One’s place in line would be held virtually and an announcement would indicate when your boarding group was ready to head to the loading zone. 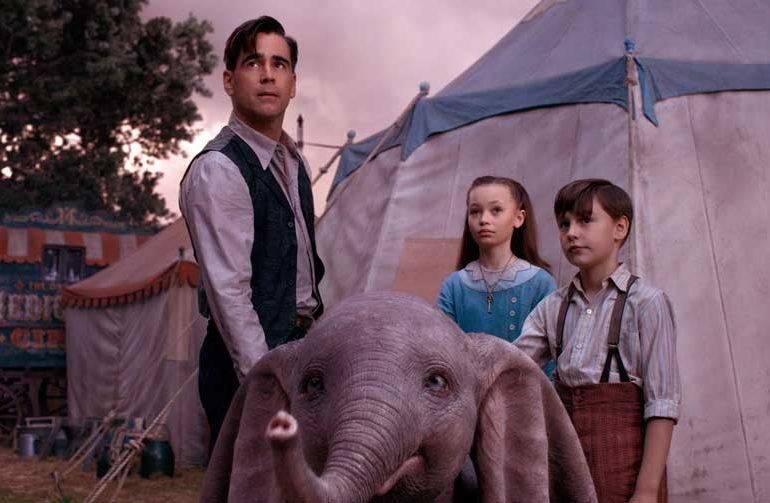 Looking at these pictures shared by Disney, that vision looks essentially intact. Perhaps it’s a bit more playground / obstacle course than I envisioned. Also, Disney says that instead of an announcement to tell you when to grab your kid and head to a loading zone, some sort of paging device will be used. Disney has tested out, in theory, how this system will work during some experiments over at Rock-n-Roller Coaster. According to sources, results were mixed. So we’ll keep a close eye on how this is working out once it opens to guests. Update: Video of the queue ‘in use’ by kids and some background on the project from an Imagineer.